Le Centre pour la Santé et Éducation des Femmes - WHEC - Baha M. Sibai, M.D. Dr. Sibai is Professor and Chairman of the Department of Obstetrics and Gynecology at the University of Cincinnati College of Medicine. 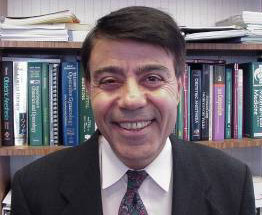 His academic leadership and contributions to research, in the dissection of the hypertensive diseases of pregnancy and other basic problems associated with obstetrics and gynecology, has awarded him national and international recognition in the field of Maternal-Fetal Medicine, particularly in the area of hypertension in pregnancy. His contributions have organized the treatment plans of many physicians. Dr. Sibai’s international notoriety in preeclampsia and eclampsia evolved as a result of his authorship or co-authorship of over 350 peer-reviewed publications in national and internationally circulated publications.